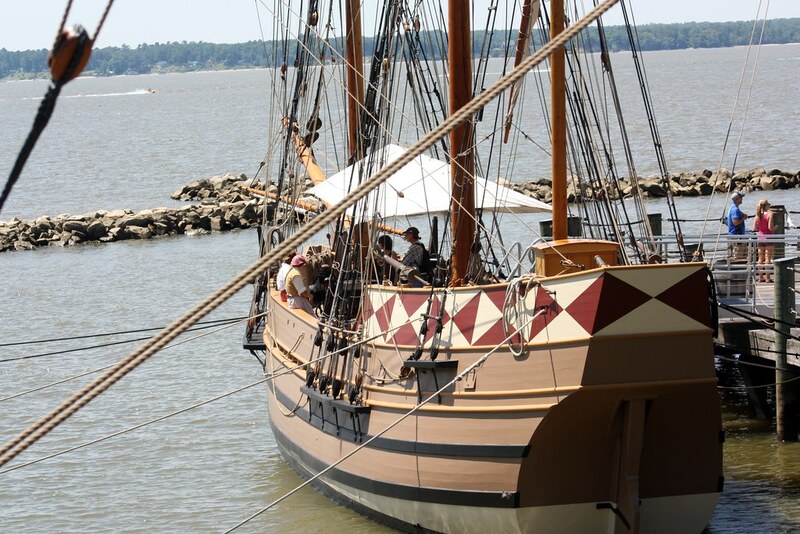 Jamestown is America’s first permanent English colony, founded in 1607. There are re-creations of how life was during these early days. 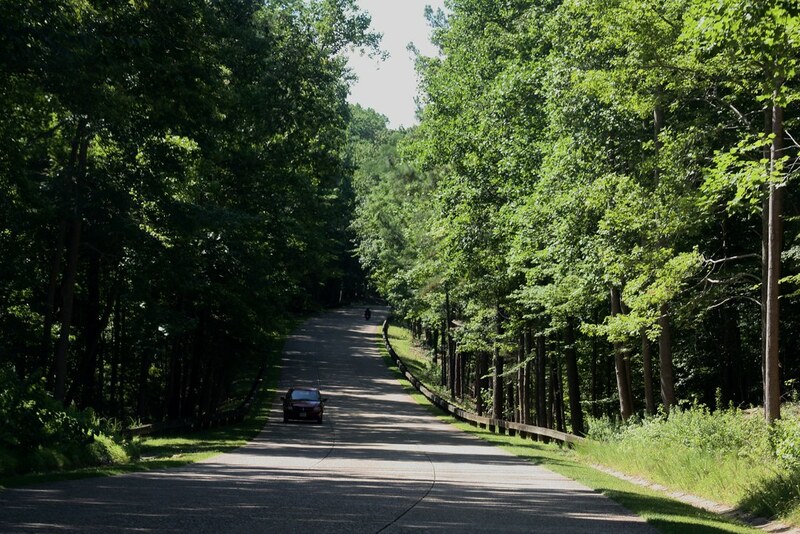 We drove along the Colonial parkway which is a beautiful road leading to Jamestown. 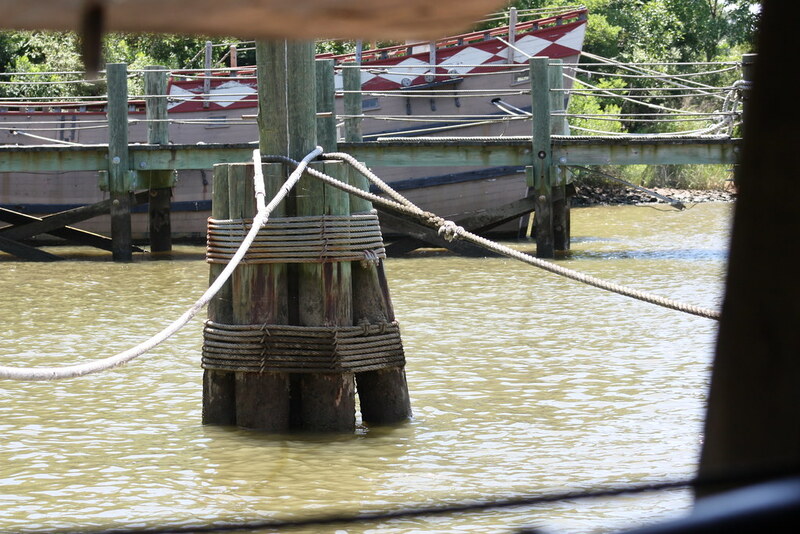 Our first stop was the pier where there are the three re-creations of the Susan Constant, Godspeed and Discovery ships which brought the English colonists to Virginia in 1607. 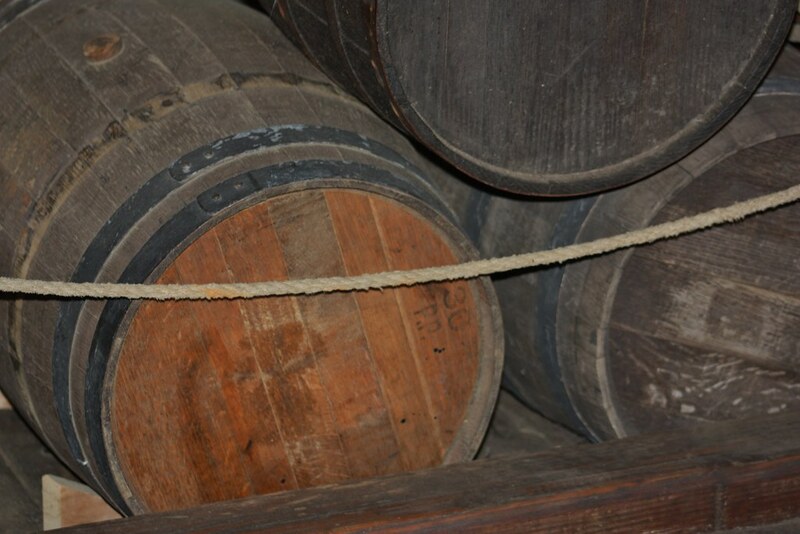 Barrels on the ship. I would hope some had wine or whiskey. I would have wanted some on the journey. Not only can you board and tour each ship but there are very informative guides discussing the four-and-a-half-month voyage from England. 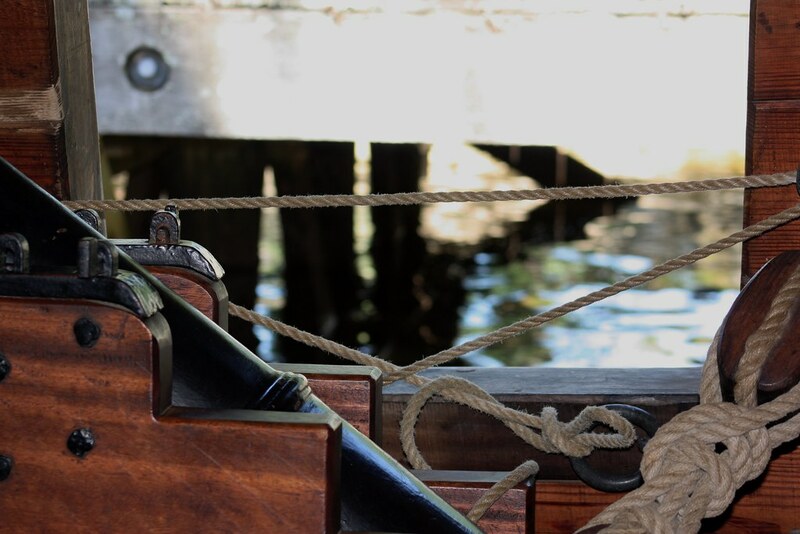 There are also periodic demonstrations of 17th-century piloting and navigation. After listening to all the stories about what the passengers and crew must have endured, it would have been hard for me to make the journey. If by chance I did make it, it would have been ONE WAY. I can’t imagine getting back on the ship. The conditions sounded hideous. Makes traveling these days a breeze. The ships carried 105 passengers and 39 crew members. It was a business venture sponsored by the Virginia Company of London through a charter granted by James I. Captain Christopher Newport lead the crossing, dropped off the Colonists, explored up the River and ended up settling at Jamestown. Only two months later, Captain Newton returned to London with loaded wood and other natural resources for sale in English markets. 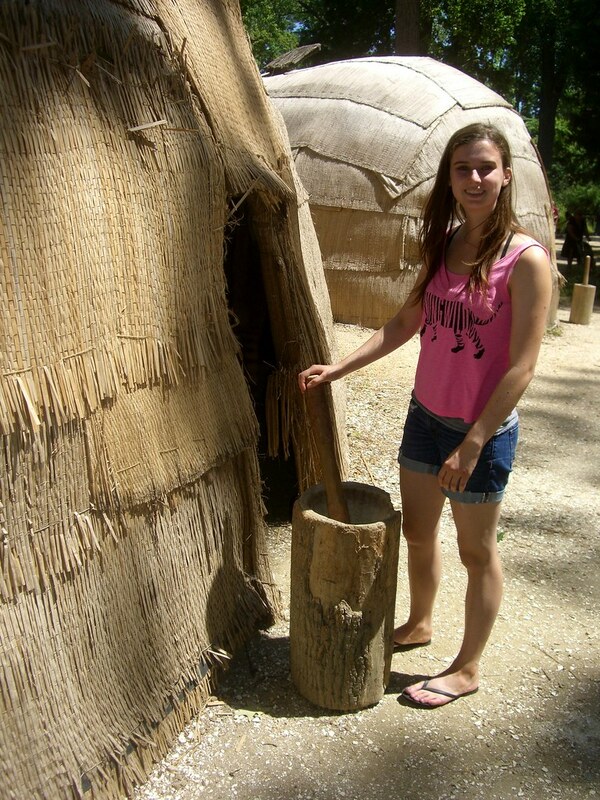 Next we explored the Powhatan Indian village which is re-created based on archaeological findings at another site once inhabited by Paspahegh Indians, the Powhatan tribal group closest to Jamestown, and by descriptions recorded by English colonists. 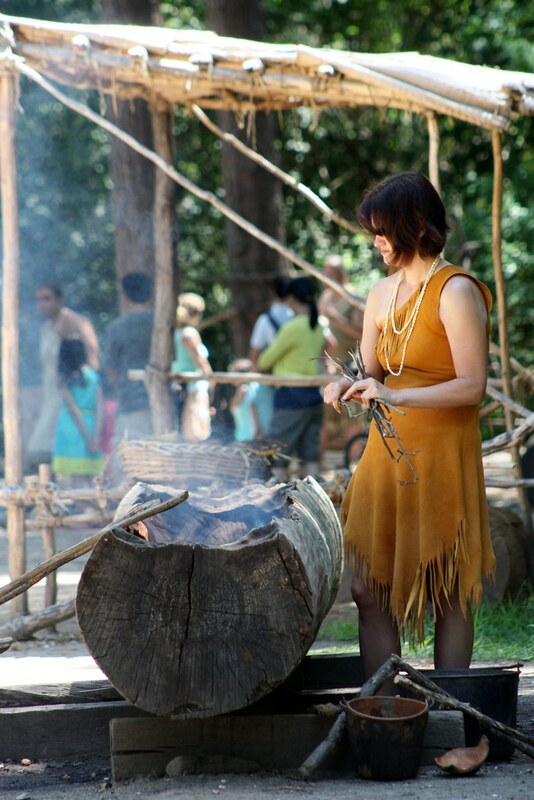 There are historical interpreters discussing and also demonstrating the Powhatan way of life. 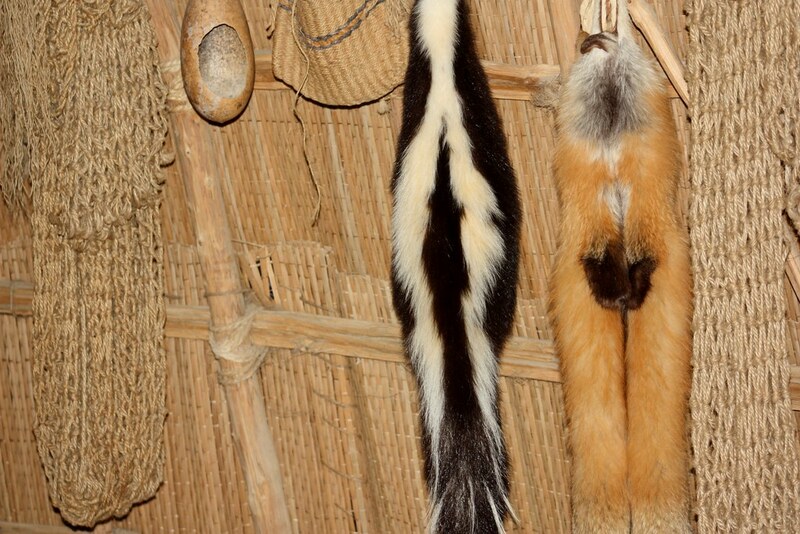 There’s no shortage of animal hides hanging around. They also grow and prepare food, make tools, Canoes and pottery. 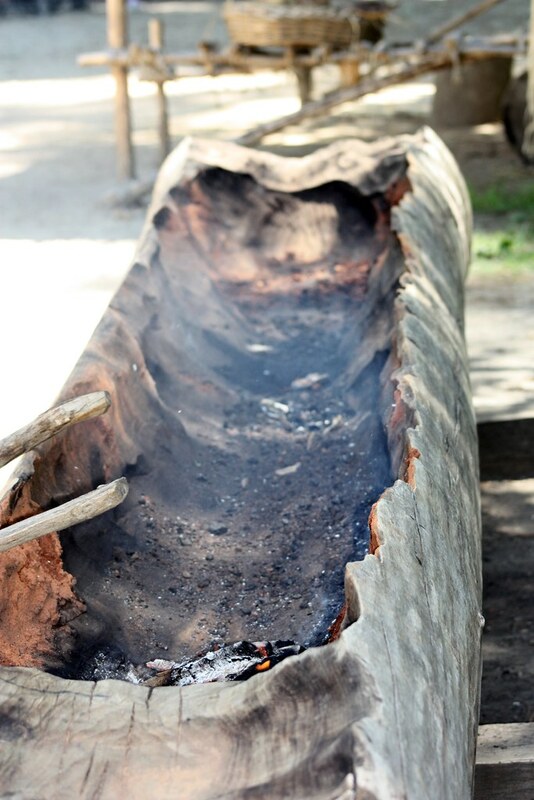 Because they lacked certain instruments, the Powhatans would burn a tree to get it down then use a fire method to make canoes by softening the wood enough to hull it. Since we needed to get lunch and be back in Williamsburg by 3pm, we made a quick overview of the museum located at the entrance Jamestown. It’s worth another look the next time we’re in the area. I enjoyed reading the “what was happening elsewhere” which is a list of what was happening in England/Europe while the Colonialists were traveling to the New World. Always good to get the global perspective when learning about US History. 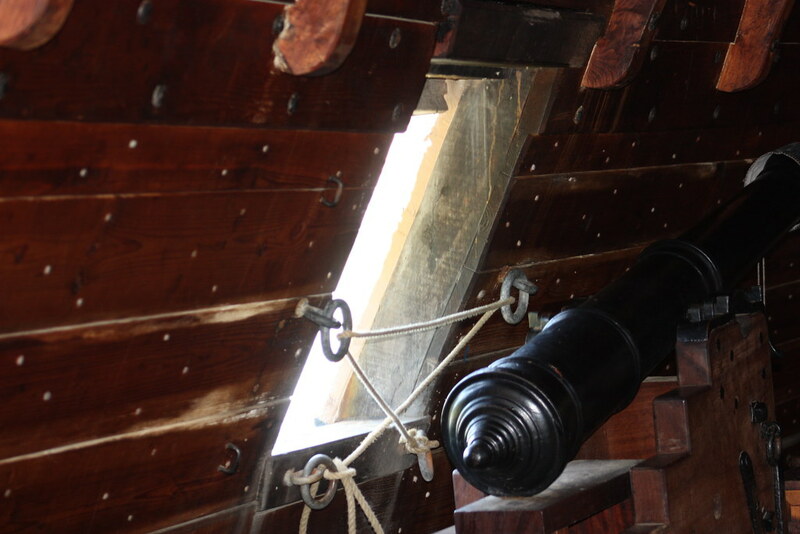 If you’re interested in the details of visiting Jamestown, visit there website here. 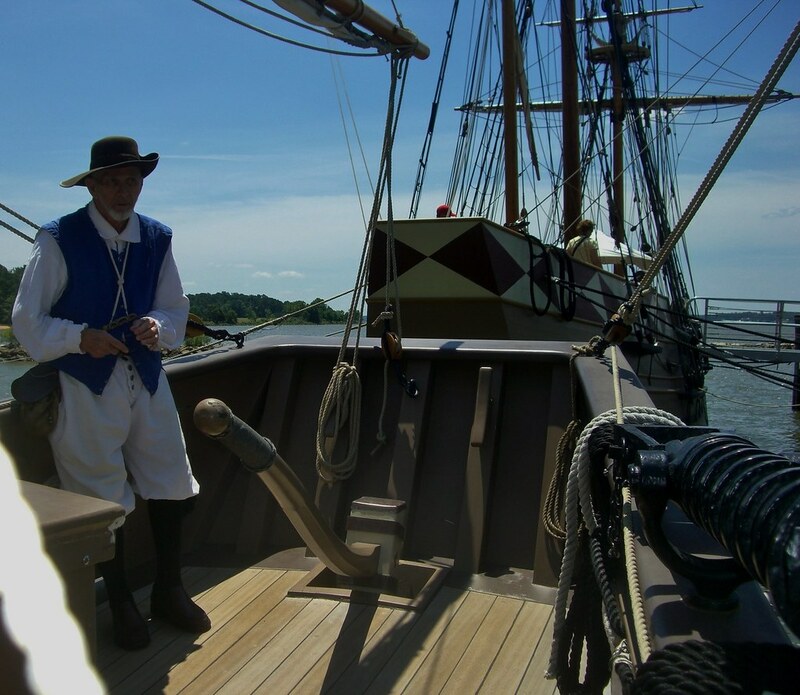 Colonial Williamsburg/Jamestown/Yorktown area are regularly on our travel itinerary, as we live a few hours in-land. 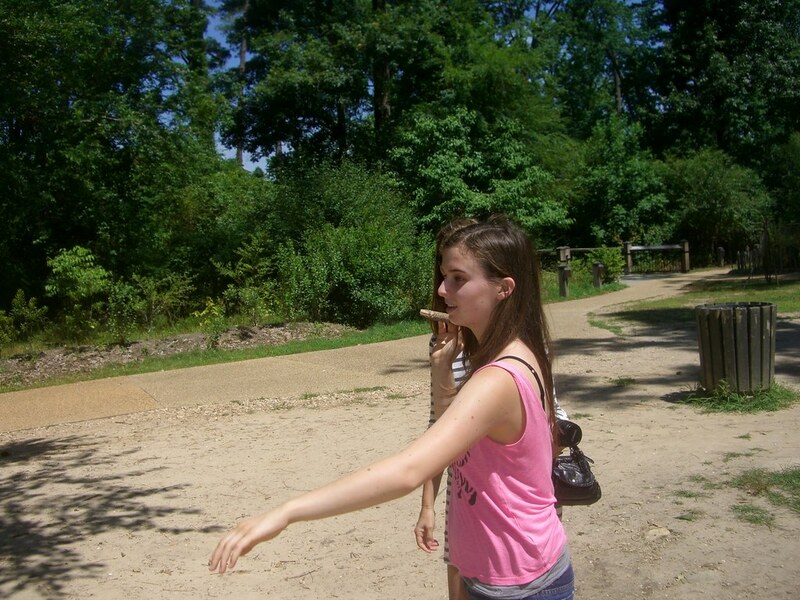 Going to dinner at the King’s Arms or Chowning’s Tavern, we announce that we are from “The Frontier”. Great fun. 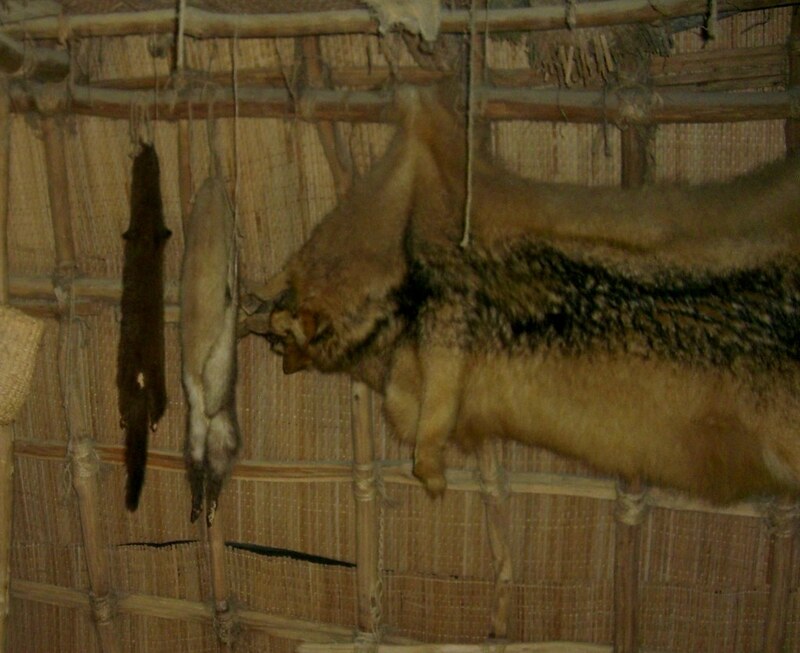 We have photos of our nephews and neice pounding corn and tannning hides at the Powhatan Village too. Enjoy your time in the summer heat and humidity. It truly is incredible to think what early travel, and living conditions, were like. We are so spoiled today!! I’m thankful that we are restoring and revering places like Jamestown. We need to learn from history. Couldn’t agree more! I’m so thankful when we restore/preserve our historic locations. We may not be as old as European cities but interesting nonetheless! I’ve been enjoying your blog very much! Our family lived in Saipan and Guam from 1992 to 2009 and we now live in Williamsburg. My daughter is one of the costumed interpreters in your photos above (2nd photo, sitting on the edge of the ship Godspeed wearing maroon hat, white shirt and gold jerkin vest). How fun ~ I think we spoke with your daughter! What a fun (and challenging) job that must be. I found all the interpreters to be so informative. And so pleasant. They’ve got to get tired of answering the same questions all the time but, after speaking with them, they peaked my interest so much that I found myself wanting to research more about the topic. I am so glad you enjoyed it. We always liked taking our visitors there. One of the facts that I remember is that the passengers were not allowed on deck. I can’t imagine being in that small space with 100 other passengers, no privacy, and no bathroom. It was a great place to visit. John asked tons of questions. For a moment, I thought he was “testing” the historic interpreters but he truly was just fascinated with the story.